Ahhh summer. The days are long, and the kids are restless. Well, maybe not restless, exactly... but you're still looking for fun activities to do together before you start school again. Maybe you're trying to squeeze a little art exploration in because you didn't get to all of the lesson plans you had in mind last year. Or maybe you're trying to establish a fun art routine this summer that you plan to carry into the fall when you start your formal homeschool art curriculum. In any case... I've rounded up 5 FUN ideas for you to try this summer, and I'm sure your kids will have a blast getting creative and being inspired by nature, literature, and famous artists. 1. Paint "en plein air"
Take the easel (or just a simple set of watercolors) outside, and paint in nature. Learn all about en plein air painting here. There are so many amazing storybooks written just for kids (of all ages)! I've compiled a big list of the best books– you can find it right here. Spend an afternoon at the library (in the nice cool air conditioned library!) and read all about history's most creative legends. Going out of town this summer? Look up the museums in your area, and see if they are having any special exhibits! Or just visit your usual hometown art museum, and spend a day taking in all the beauty. There is a definite strategy that I use to help museum trips go smoothly. (I've come up with a plan after 10 years of trial and error with my own kids!) Learn all of my tips and tricks here. Summertime is the perfect time to get outside and gaze at the stars. Why not turn it into a fun Van Gogh inspired project while you're at it? Take your Van Gogh study even further with this fun guide! 5. Make a paper garden! Use up all of those construction paper scraps you've been stashing all year. This Matisse inspired activity is the perfect solution to transform paper clutter into something beautiful! Hope you have fun trying out these summer art projects! Be sure to join the Art History Kids email list to download a checklist to keep you on track this summer. You'll also get access to tons of fun free art activities in the Library Archives! access the library archives now! Remember to post photos on Instagram using our hashtag #arthistorykids. 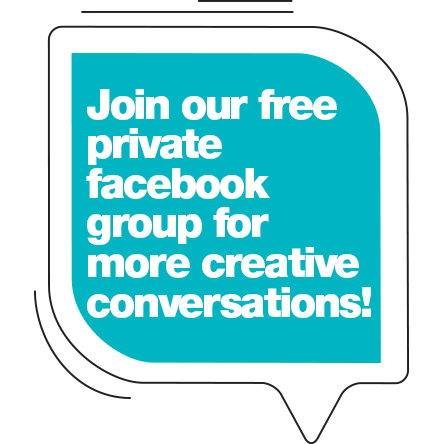 And join the fun free Facebook group to connect with other artsy homeschool families!